The tray insert is used as a holder for the instruments and drills during machine cleaning. Only the ratchet and the drill stops must be washed separately in a small parts basket. Whether you’re a new or existing customer we have the correct tray for you. 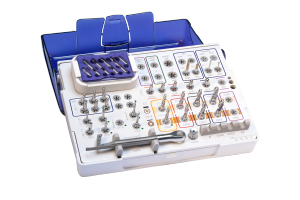 Additional restorative trays are also available for non-surgical interventions.